It was a lot of fun to build and is fun to ride around the pasture and backroads. If you do one of these right, it is very expensive. The problem is most of these have been rode hard and put up wet for 70 years and everything on them is worn out. I built a 52 M38 several years ago but I dont have anything on the internet for that one. No major updates. I did do a light polish on the fork lowers and got the forks rebuilt. 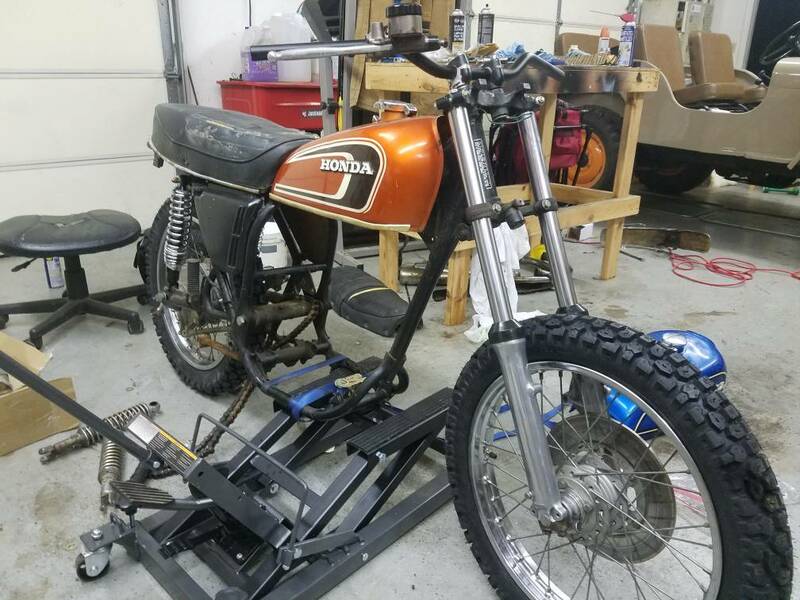 After I put the forks back on I just had to put the wheel and old seat on just to get a feel for it.